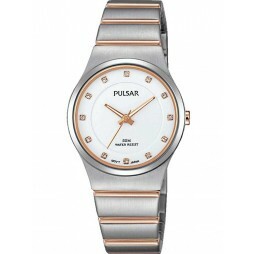 Introducing this stylish Pulsar bracelet watch that makes a wonderful everyday wear. 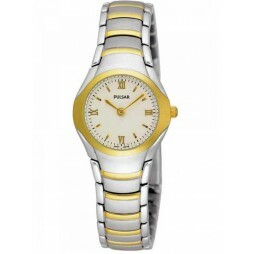 The versatile design is crafted from stainless steel, featuring gorgeous gold plated detailing. 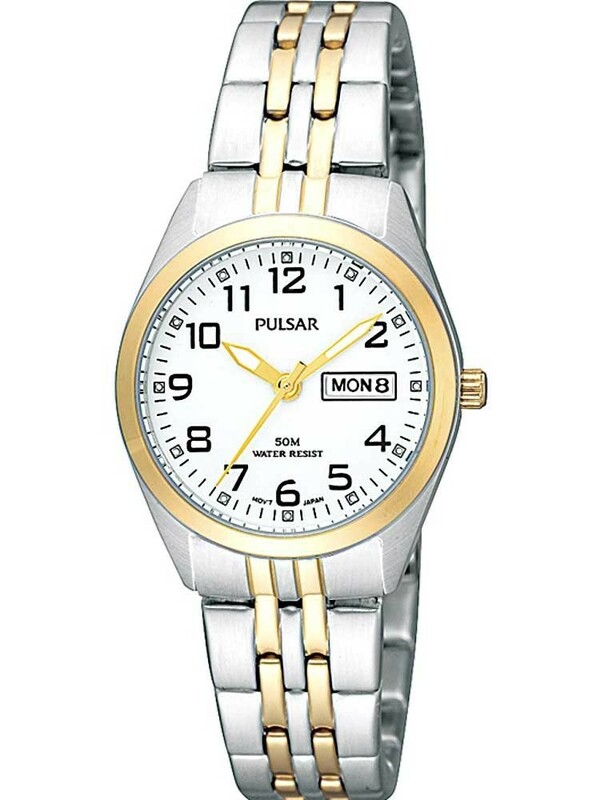 The round white dial has full figures, luminescent hands and a day, date window for extra functionality, complete with a secure push button deployment clasp. 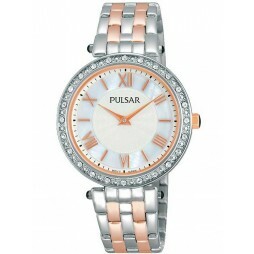 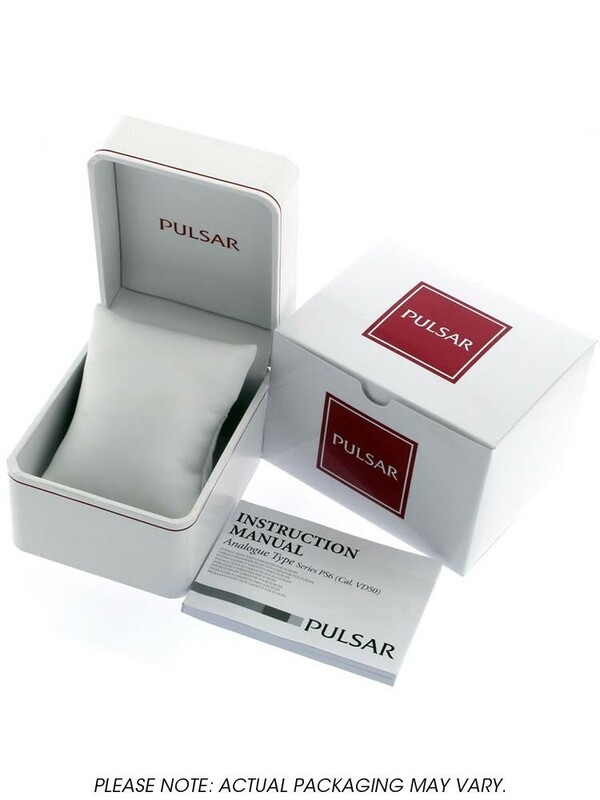 A great gift for yourself or a special someone, buy with confidence.